Melissa McCarthy's latest movie, "The Happytime Murders," faces legal action from the producers of "Sesame Street." LOS ANGELES -- Melissa McCarthy's latest movie, "The Happytime Murders," faces legal action from the producers of "Sesame Street." The movie, which is set to come out in August, is accused of confusing "consumers into mistakenly believing that 'Sesame Street' is associated with, has allowed, or has even endorsed or produced the movie and tarnishes Sesame's brand." Yet the movie's lewd, profanity-laced trailer is made for adults and looks to separate itself from the "Sesame Street" brand. It's also rated R.
On May 25, Sesame Workshop released a statement about the lawsuit on its Twitter account. 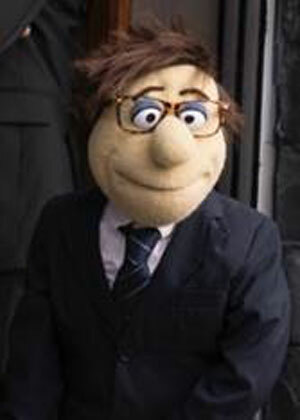 The producers of the movie and distributor, STX Films, issued a tongue-in-cheek statement about the lawsuit Saturday evening, which was given by puppet Fred, Esq. along with his headshot. "STX loved the idea of working closely with Brian Henson and the Jim Henson Company to tell the untold story of the active lives of Henson puppets when they're not performing in front of children. Happytime Murders is the happy result of that collaboration and we're incredibly pleased with the early reaction to the film and how well the trailer has been received by its intended audience. While we're disappointed that Sesame Street does not share in the fun, we are confident in our legal position. We look forward to introducing adult moviegoers to our adorably unapologetic characters this summer." A hearing on the lawsuit is scheduled for next week. The lawsuit was filed in an effort to eliminate the phrase "No Sesame, All Street" from the advertising. The organization is looking for compensatory and punitive damages.